For many decades, botanical nutritionist & cancer navigator, Grace Gawler, has been warning patients of dangers associated with wrongful use of herbal & nutritional supplements. 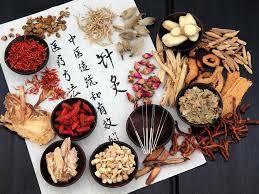 With 35 years’ experience in botanical medicine and research pertaining to cancer, Grace endorses the science based articles shown below. Grace says… “The assumption that ‘natural’ supplements are superior or even safe is misguided. People forget that most supplements are concentrates containing massive amounts of ‘so called natural’ chemicals. Above all they must be coordinated with medical cancer treatments or risk serious interactions. 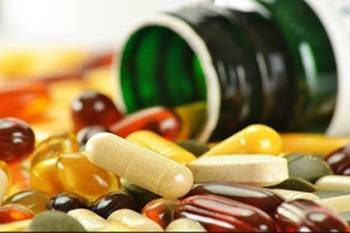 Who is prescribing your supplements? Most naturopaths & integrative GPs tend not to coordinate or collaborate with a cancer patient’s oncology teams – in fact they are ideologically opposed. Why? 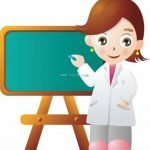 One reason – judging from the bizarre combination of supplements prescribed to patients by naturopaths or integrative GPs , it is clear most therapists do not understand or consider important the science behind potential interactions – herb/drug, drug/drug, supplement/drug, supplement/supplement interactions to mention a few. See videos below. These are the new study fields of pharmacodynamics, pharmacodynamics, pharmacognasy and pharmacogenomics, metabolomics & more. “I estimate at least 90% of my new patients have harmed their health or impeded/prevented their cancer medicines from working. ”Multi-vitamins are something that may be helpful in prevention, but they may not be helpful for treatment,” Professor Olver said. With a study last year showing that more than 50 per cent of male cancer patients in Australia were using ”complementary and alternative medicines” while receiving chemotherapy or radiotherapy, Professor Olver said patients and doctors should ensure that alternative medicine use is out in the open. ABC’s Four Corners – PBS Frontline investigation – exploring the complex issues surrounding supplements in North America. It’s an eye-opening report that details a web of lobbying and legislation designed to protect the industry, but which ultimately leaves consumers at risk. Using a test called DNA barcoding, (genetic fingerprinting), Canadian researchers tested 44 bottles of popular supplements. They found that many were not what they claimed to be, and that pills labelled as popular herbs were often diluted — or replaced entirely — by cheap fillers like soybean, wheat and rice. The research provides more evidence that the herbal supplement industry is riddled with questionable practices. Herbal products available to consumers in the marketplace may be contaminated or substituted with alternative plant species and fillers that are not listed on the labels. Dangerous combinations: Ingestible supplement use during chemotherapy in patients with ovarian cancer. Some ingestible complementary medicine supplements, including herbal remedies, teas & vitamin C, have biological activities that make them likely to interact poorly with conventional chemotherapeutic treatments.